Here is a link to Alphabet Stories. 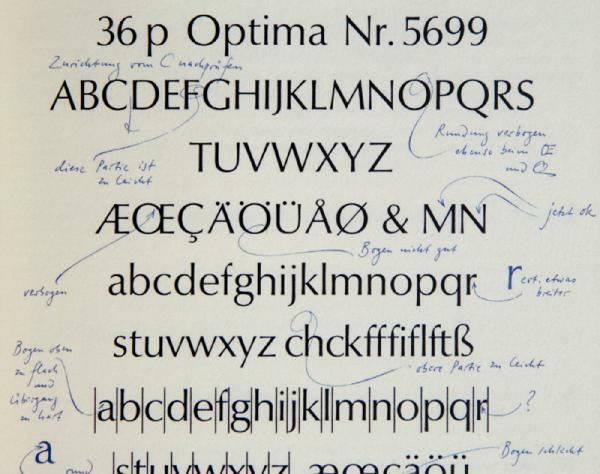 A Chronicle of Technical Developments [2nd edition] by Hermann Zapf. 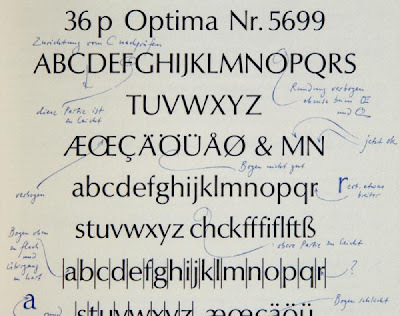 And here is an image from the book showing one of Zapf's annotated proofs of Optima.